I've had many different skincare routines over the years involving various combinations of face wipes, cleansers, toners, light moisturisers, heavier moisturisers, eye creams, coconut oil, vitamin E oil... But now I've found a simple, affordable, cruelty-free and mostly natural routine which seems to keep my skin happy. My morning and evening routines are slightly different, but this is what I do before bed. 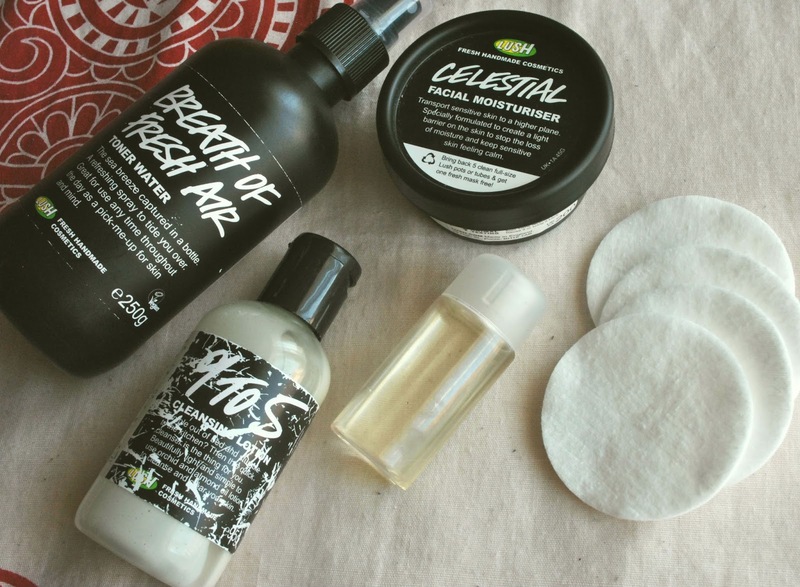 To remove my makeup, I use Lush's '9 to 5' cleansing lotion (£4.95 for 95g). With a very short list of mostly natural ingredients, '9 to 5' is designed to be suitable even for sensitive skin. With almond oil (great for scarring and dark spots!) and dove orchid extract, it's very soothing and nourishing for your skin. To use it, I put a medium-sized dollop onto a cotton pad, then dot a little of the cleanser on my cheeks, chin, forehead and nose. I cleanse those areas first since they usually have the least product on them, and then I move onto my eyes, squeezing out a little more cleanser if I need it. Usually the cleanser removes eye makeup without the need to let it soak, but if you're wearing particularly stubborn eyeliner or waterproof mascara I'd recommend placing a cotton pad with some cleanser on it over your closed eye for 10 seconds or so and then removing the makeup as usual. 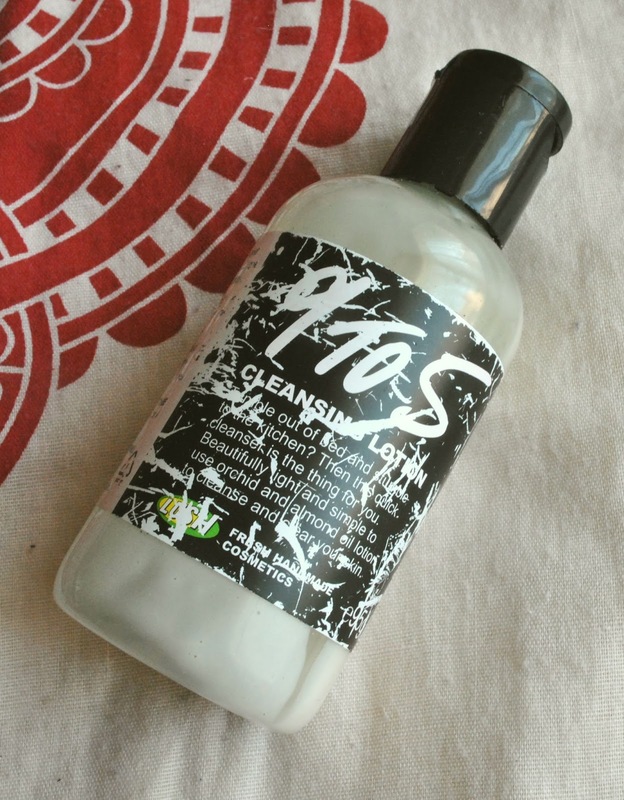 Although cleanser removes most of your makeup, it's always a good idea to follow it up with a toner. Toners are great for getting really deep into the pores and removing any last traces of makeup or cleanser which have been left behind. 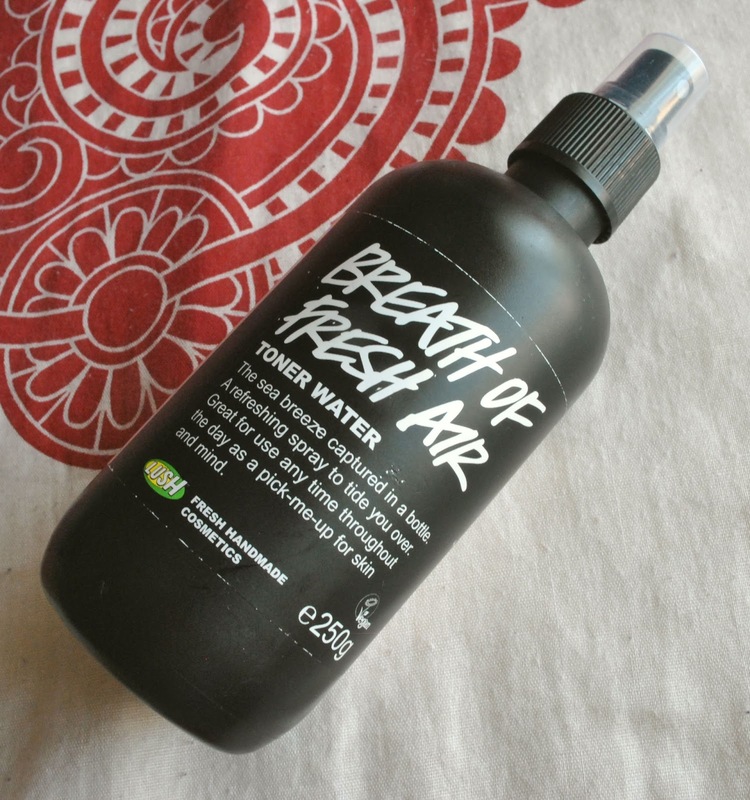 I use Lush's 'Breath of Fresh Air' toner water (£7.50 for 200g). This toner also has a very short ingredient list, with organic aloe vera gel to soothe, rose absolute to reduce redness and seaweed extracts to soften. Don't be alarmed by the fresh sea water in there, though - although salt water has a reputation for being drying on hair and skin, it's the sun evaporating the salt water that makes it drying. Without that, salt water is actually very nourishing because of its rich mineral content! That being said, if you have dry skin I would maybe recommend Lush's 'Eau Roma' toner water (£7.50 for 200g) which is a bit more gentle. To use 'Breath of Fresh Air', I pump a few squirts onto a cotton pad and gently wipe it over my face, focusing on the eye area where there tends to be residual mascara. For my eye area, I use almond oil, which I've written about before (click here to see the post). Almond oil is fantastic for reducing scarring and dark spots which is why I use it on my dark circles. I buy mine from Boots (£1.59 for 50ml), but to make it easier to apply I put it into this little travel bottle which I picked up from Superdrug years ago. 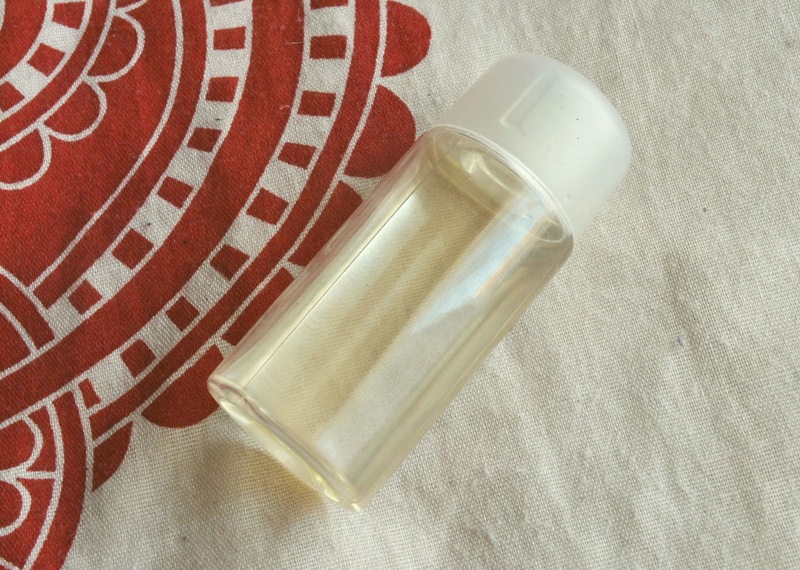 It has a small hole at the top which allows me to only use a few drops at a time, which I rub between the tips of my ring fingers and then pat under each eye, focusing on my dark circles. The final step in my evening skincare routine is moisturising. It's taken me quite a while to figure out my skin type and which products suit it best, but now I know that the best type of moisturiser for my combination skin is one which is relatively light but still quite nourishing in order to soothe the drier areas and balance any oiliness. 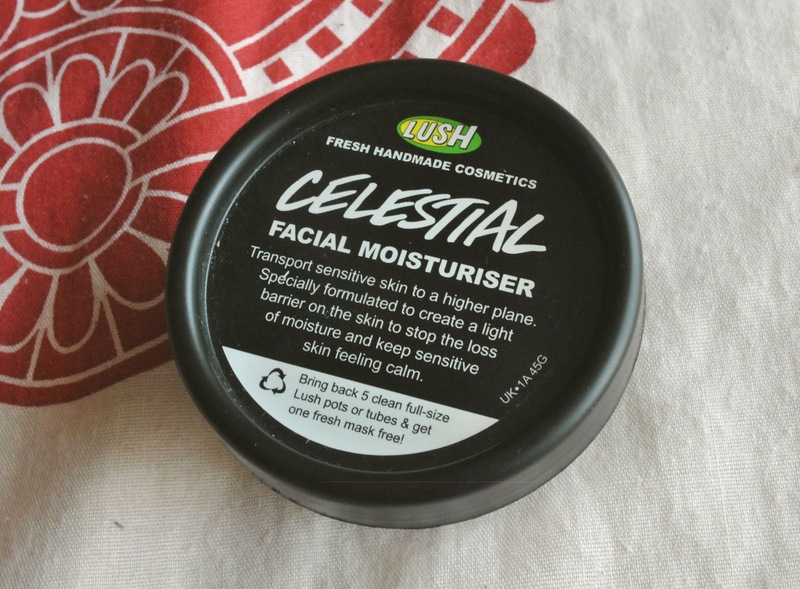 Lush's Celestial (£11.95) is a wonderfully soothing and simple moisturiser with slightly thicker consistency which kind of melts and thins out when you apply it, meaning you only need to use a little at a time. To apply it, I take a pea-sized amount of moisturiser and, as with the cleanser, dot it onto my cheeks, forehead, nose and chin before I gently rub it in, giving my jawline a little massage as I go (which feels amazing after a long day). 'Celestial' also has almond oil and dove orchid extract in it, so like '9 to 5' it's very calming and works wonders for evening out skin tone. The Fair Trade organic cocoa butter in there ensures that your skin is thoroughly moisturised, and with vanilla water and almond milk too, 'Celestial' smells beautifully sweet and delicate. And that's it! There are a couple of products I use for my hands, feet and body in the evening too, but I'll save that for another post. Do you have an evening routine? Which products do you like to use?